Qistna Express, started the service in Johor Bahru, provides daily departure from Larkin bus terminal to almost all the destinations in Malaysia. 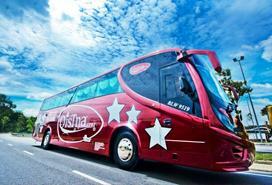 Qistna Express uses Super VIP bus for it’s long distance express bus service.The most popular trips including bus from Johor Bahru (JB) to Kuala Lumpur, JB to Penang, JB to Genting Highland, KL to JB and many more. All coaches departing from Larkin Bus Terminal, and travel along the west coast of Peninsular Malaysia to Seremban, KL, Perak (Ipoh / Taiping etc), Pulau Pinang (Butterworth, Bukit Mertajam etc), Kedah (Alor Setar, Sungai Petani etc) all the way to Perlis. Some buses are direct (e.g. JB to KL, JB to Genting, KL to JB) and some will travel to a few destinations. 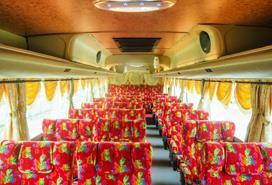 In year 2014, Qistna Express expanded the business to Singapore. Qistna now provides daily departure from Singapore Little India to Kuala Lumpur, Ipoh, Penang, Sungai Petani and Alor Setar. Little India departure point provides convenience access for passengers and tourists living in the Little India Singapore, which is one of the attractions in Singapore.